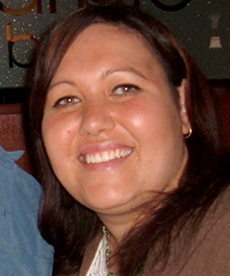 Louise Croft has commenced her role as Academic Liaison Officer at the Yulara campus of Charles Darwin University. Ms Croft previously worked Sails in the Desert resort, Yulara, and at Wilto Yerlo, the Centre for Aboriginal Research and Studies at the University of Adelaide. She brings a wide range of business skills and cultural knowledge to the role. She says she looks forward to maintaining the strong relationship developed when working at Yulara previously and building links with the local Anangu community. ‘I see working out at Yulara as a great opportunity to help provide training and assistance for many different people,’ she said. Paul Fitzsimons, Director of Remote Co-ordination, said he looked forward to Louise commencing her role. ‘Her friendly nature, customer focus, passion for education and work with Indigenous peoples of Australia are a wonderful match for this role,’ he said.